miss location in the center of the news feed. Even better, the news feed offers access to the 17% of online users who can only be reached through Facebook Exchange (FBX). FBX is the real-time auction that offers this space to advertisers. It gathers customer intent data from people’s interaction on websites outside Facebook. It then enables these advertisers to retarget Facebook ads to potential customers who previously browsed their sites. In addition to reaching an otherwise unreachable target, and landing prime real estate on Facebook’s News Feed, there’s also the enticing prospect of engaging viewers through the traditional Facebook like, share, and comment buttons. Once you factor in the opportunity to create online buzz among Facebook’s 1.15 billion active users, you have an ideal formula for increasing exposure to your ads. 1. Don’t be shy. Facebook News Feed offers you the opportunity to put your special promotions in front of billions of users each month. Entice them with bonus offers, seasonal goods, and sales items. 2. Don’t limit your efforts by targeting only those who have visited your site in the past 30 days. Go back as far as two months or more to capture those prospects whose interest may now be renewed during the holiday shopping season. 3. Get people talking. Expand your reach by using Facebook features to encourage likes, shares, and comments. These built-in features offer a great way to start a discussion about product features and benefits. 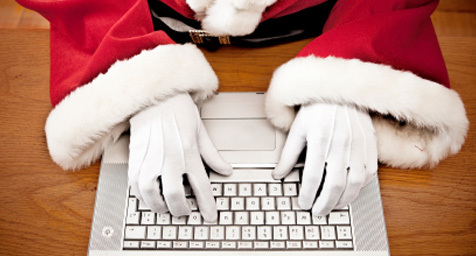 Implement an effective retargeting strategy for the holiday season. Contact MDG Advertising today at 561-338-7797 or visit mdgadvertising.com.